Many people think that Bitcoin was the first cryptocurrency to be designed. In fact, the concept of cryptocurrency has been around much longer. Why? Why? Because of the Internet. We are buying more and more on the Internet. To do this, we have little choice but to use a trusted third party, such as a bank or credit card company, to complete the transaction. At the time, this process was considered a violation of our rights to make private purchases without anyone else knowing about it (it was the cypherpunk movement that caused it). An electronic transaction is carried out as in the case of cash, you just have to give the amount in cryptocurrency to the seller in order to receive your purchase in return. No one other than the person who sells you the item needs to know about the transaction. This type of transaction is known as a peer-to-peer or person-to-person transaction. In the context of creating an online digital currency that could work in this way, security was one of the biggest problems. It was during the creation of the first digital currencies that it was decided that cryptography was the best solution to the problem. Cryptography is a type of secret code, a means of scrambling information so that it cannot be read by anyone unless it is properly deciphered. The next question was how to decentralize the payment system and eliminate the need for trusted third party organizations. This has been made possible by setting up a database that operates simultaneously on all computers connected to it and forms a vast network of autonomous computers called “nodes”. Nodes are not managed by financial institutions, but by individuals around the world. Anyone can access the database. Nodes authenticate and approve all transactions performed on the database. We will study this aspect in more detail later (see Chapter 4). While not all cryptocurrency work in this way, this is the case for the majority of them. Satoshi Nakamoto’s white paper entitled “A Peer to Peer Electronic Cash System” was published on 31 October 2008. The domain name bitcoin.com, on the other hand, had been purchased earlier: on August 18, 2008. The Bitcoin concept follows the financial crisis of 2007/2008, which brought fear and mistrust of the global financial system from the population. 10 years later, the crisis is behind us is us but this mistrust is still present and is represented by Bitcoin as well as other cryptocurrency. Despite the existence of many theories, Satoshi’s true identity remains a mystery to this day. Only one person, an Australian computer scientist named Craig Steven Wright, claims to be Satoshi. However, his claims are far from unanimous on this subject and different theories have emerged around Satoshi’s true identity. One of them claims that it was actually scientist Nick Szabo, the inventor of Bit Gold – but he refutes this theory. Others are convinced that behind Satoshi’s name is actually a group or organization of collaborators who have come together to write the white paper on Bitcoin. The software designed for Bitcoin was released on January 3, 2009. The first transaction recorded in Bitcoin took place on January 12, 2009, when a video game developer from the United States named Hal Finney came across the Bitcoin website. He liked what he read and decided to download the software. As a reward, he received 10 Bitcoins. At that time, it was possible to download the software and be rewarded by receiving free Bitcoins. Despite this, the idea met with resounding failure in its early days, particularly because no one saw any value in this coin, which had no monetary value at the time. Four months later, in May 2009, a young university student named Martti Malmi (alias Sirius) from Finland also came across the Bitcoin.org website. The ideas behind the Bitcoin sparked Martii’s interest and he contacted Satoshi by e-mail to ask him if he could help him in any way. Martii then started working on Bitcoin with Satoshi and completely redesigned the Bitcoin website. He and Satoshi were the first to use the term “cryptocurrency” mentioned by one of the members of the Bitcoin forum. On May 22, 2010, Laszlo Hanyecz reported that he had purchased two pizzas at a price of 10,000 Bitcoins. It seems crazy to us today, because these Bitcoins would be worth tens of millions of dollars. Only, at the time, they had no real given value. On August 6, 2010, a major flaw was discovered in the Bitcoin verification process, the only flaw ever discovered to date. It was found that the transactions were not properly verified before they were added to the transaction log. The problem was quickly resolved and the transactions were removed from the logs. In May 2011, an online payment platform called Bitpay, using Bitcoin in a similar way to what PayPal does with other currencies, was introduced. Bitpay is accepted by a growing number of retailers worldwide. As the popularity of Bitcoin increased, several other cryptocurrency began to appear. The first of these was Litecoin, which was put into circulation on 13 October 2011. Litecoin had faster transaction times, better encryption protocols and more parts (4 times more). Today, the “Altcoins” as they are called (alternatives to Bitcoin) exceed a thousand and their number seems set to continue to increase, at least in the short term. New pieces, or tokens as some of them are called, are introduced almost every day. The price of a Bitcoin at the beginning of 2011 was $0.35. That year, the Bitcoin price exceeded $1,000. However, an unexpected event was about to shake up the cryptocurrency industry. China has told its banks and financial institutions that they can no longer legally accept Bitcoin. The fear that this approach would be repeated in other countries quickly spread, leading to a crash of the Bitcoin price. Despite this, the Bitcoin soon regained its value. It was also that year that the Bitcoin website underwent a major revision and was translated into several languages. This has made it more accessible to people all over the world. The first Bitcoins vending machines were introduced in Canada. Cryptocurrency vending machines are now available worldwide: they allow both to buy and exchange cryptocurrency for cash. To buy and sell Bitcoins or other cryptocurrencies, people tend to use “exchanges”. These are companies that facilitate this type of transaction. They charge a fee for these services, which can vary considerably. You can compare these exchanges to your stockbroker. Some exchanges allow you to buy cryptocurrency with current currency, called fiduciary currency (dollars, pounds, euros, etc. ), while others only allow you to use one cryptocurrency to buy another. 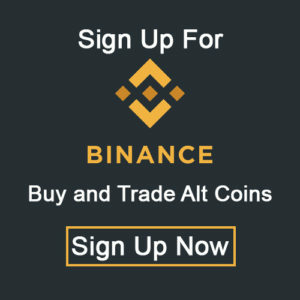 Most exchanges do not allow you to buy and sell all cryptocurrencies, so it is important to check that a given exchange offers the currency you want to buy before you register on that exchange. As with fiduciary currency, exchanges use abbreviations: US dollars are called USD, Canadian dollars are called CAD, British pounds are called GBP, euros are called EUR, etc. The Bitcoin is called BTC, the Ethereum is called ETH, the Litecoin is called LTC, the Ripple is called XRP and so on. It is worth remembering that at the time, the majority of exchanges were not regulated: some of them were close to being scammed, while others were subject to mismanagement. In January 2014, the overnight disappearance of MT Gox, one of the world’s largest exchanges for Bitcoin, was a real shock for the sector. No one ever found out exactly what happened, but an amount of Bitcoins equivalent to $450 million disappeared at the time. To date, only one other cryptocurrency has been as successful as the Bitcoin: the Ethereum (we will discuss this in more detail later). The Ethereum continues to see its strength and the support of its followers grow, while the other cryptocurrency experience much greater fluctuations. ICOs (Initial Coin Offerings) also came on the scene in 2016. ICOs are a way to finance new start-up start-ups in the cryptocurrency field. They are unregulated and are used to circumvent the regulated capital raising process required by venture capitalists and legitimate banks. ICOs launch online campaigns to encourage people interested in their idea to make an investment. Supporters of the campaign obtain a percentage of the new currency in exchange for cash or other well-established cryptocurrencies, such as Bitcoin. Unlike a traditional IPO on the stock exchange, companies that issue ICOs do not have a real commitment to those who subscribe to them. Cryptocurrency grew enormously in 2017. In particular, Bitcoin and Ethereum have benefited from enormous gains in the unit value of their coins. Bitcoin has gone from a unit price of less than $1,000 at the beginning of the year to more than $19,500 at the end of the year. This represents an increase of more than 1,800%. Ethereum was similarly successful: its coin started the year at only $8.24 and traded at over $1,300 in early 2018. On April 1, 2017, Bitcoin was declared legal tender in Japan, resulting in a sharp increase in the number of investors. On September 4, China banned ICOs. On December 01, the Commodities Futures Trading Commission approved the “Bitcoin Futures Contracts”. These products allow investors to make bets on the price of Bitcoin in the future. Bitcoin becomes almost a financial product like any other. Good as well as bad, newspapers publish new news about cryptocurrency almost every day. It is very difficult to predict exactly what their future will be, but with the amount of investment they receive, I doubt they will disappear any time soon. Their most loyal supporters predict that one day, a cryptocurrency could even become the world’s single currency.